For the Veil of Ashes fans, Sean Patrick Doty is planning on recording and releasing a new solo album. On top of that, several people have agreed to write music and record with him, including Michael Knott. So far, the list of people collaborating with Doty includes Knott, Michael Roe (The 77s), Ric Alba (Altar Boys/Undercover), Jerry Chamberlain (Daniel Amos), Brian Healy (Dead Artist Syndrome), and Derri Daugherty (The Choir). No release date yet, as the songs still need to be recorded, so stay tuned for details. For those that missed the Kickstarter for CDs or Vinyl of Songs From the Feather River Highway, but waiting to buy one… the wait is over! Go to the Young Earth Records Bandcamp page to purchse limited edition CDs, Vinyl or Combo packs now. Be sure to grab this awesome EP while there are still copies left! Interested in an in depth examination of L.S.Underground’s 1992 The Grape Prophet album? Listen to Michial Farmer discuss the album with David Grubbs and Nathan Gilmour on episode 214 of The Christian Humanist podcast. They dive into everything from the real life story of the Kansas City prophets that the album is based on to the musical influences to the cover art and more. Just released from the vaults by Blonde Vinyl: Michael Knott – Live At The Viper Room 3/4/1998. From the old Knott page news section: “Mike’s second “official” post-Aunt Bettys solo project show was held on March 4, ’98 at the Viper Room in Hollywood. The show attracted a large crowd, including many of the industry reps invited from labels such as Atlantic, Interscope, and significant smaller labels. Knott’s backing band includes Andy Prickett, Eric Campuzano, Robert Meyer, and Ed “Giles” Benrock. Now available on the Blonde Vinyl BandCamp page are Rocket and a Bomb Live! and Live In Florida 12/30/1994 (Bootleg Series Volume 2). Rocket and a Bomb Live! is the live album from the recent Kickstarter Campaign, and soon to be released DVD. The Bootleg Series Volume 2 is a live audio from way back in 1994 that you don’t want to miss! 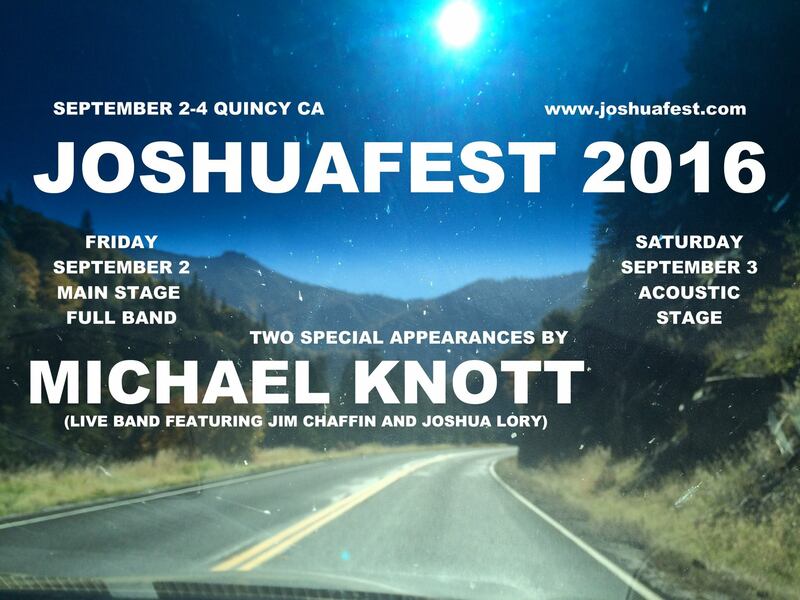 Check them both out to hear Knott live at his best. Have you been looking for a copy of Aunt Betty’s Ford Supersonic, and/or some rare Aunt Bettys songs? Head over to the Blonde Vinyl BandCamp and check out the deluxe edition of Ford Supersonic. Included on this edition are rare tracks like “Junkie”, demo songs like “Kill Me,” and Aunt Bettys versions of Knott songs like “Crash and Burn.” There is even a re-working of the Fluffy song “Guitars, Guns, and Girls.” While you are there, you can also get copies of Things I’ve Done, Things to Come or Live in Nashvegas as well. The long-awaiting new EP from Michael Knott and company, Songs From the Feather River Highway, is now available for anyone to purchase digital copies. See the Young Earth Records Bandcamp page to stream and purchase. CDs and 7-inch vinyl are also coming soon. Artwork is still being worked on, and then it is off to manufacture the CDs and vinyl. Once the artwork is ready, it will be available to non-KS supporters.